Quotations about Amazing Song. Quotes to stimulate mind and drive action! Use the words and quote images to feed your brain inspiring things daily! 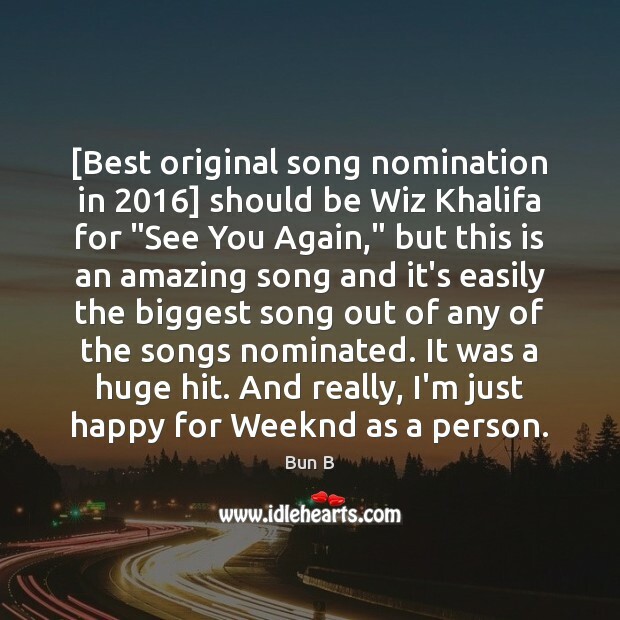 [Best original song nomination in 2016] should be Wiz Khalifa for "See You Again," but this is an amazing song and it's easily the biggest song out of any of the songs nominated. It was a huge hit. And really, I'm just happy for Weeknd as a person. Whenever I think I know something is a classic, or an amazing song, I realise it's still so subjective, because you and your friends could be talking about something, say, '(I Can't Get No) Satisfaction' - an amazing classic song - or someone would be like, "'Hey Jude' is an amazing song! ", and I'd be like, "I don't really like it." My guitar is like my best friend. My guitar can get me through anything. 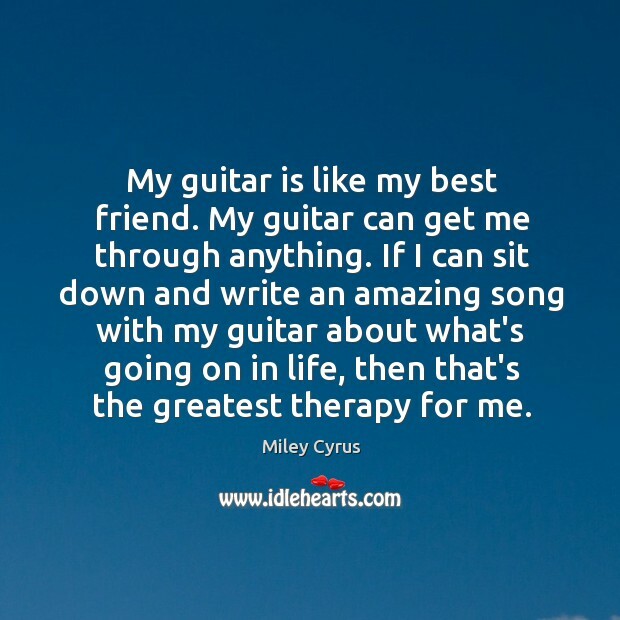 If I can sit down and write an amazing song with my guitar about what's going on in life, then that's the greatest therapy for me. Female artists I love the most are Fiona Apple, Paramour and Regina Spektor - those girls that really write amazing songs themselves, and they're younger and cool. I'm not quite sure I could ever write songs like any of them, but if I could, I would. 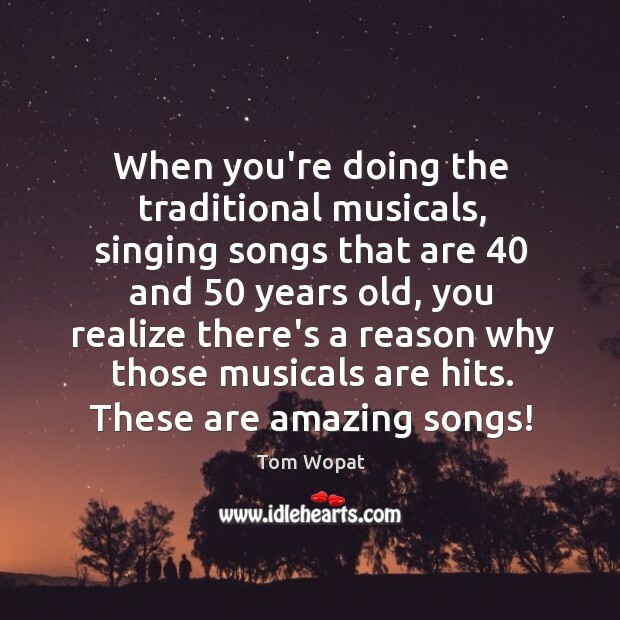 When you're doing the traditional musicals, singing songs that are 40 and 50 years old, you realize there's a reason why those musicals are hits. These are amazing songs!